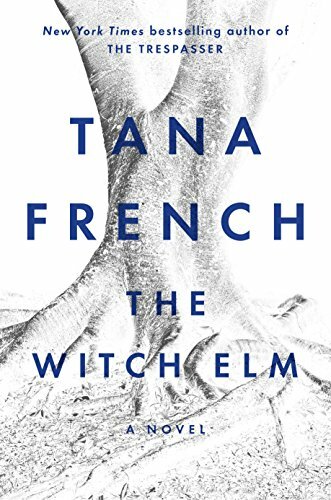 The Witch Elm won high praise in 2018 from critics, but was received less warmly by fans of Tana French's previous crime novels. It's a long book at over 500 pages, with the audiobook version at over 22 hours. Toby, a young Irishman, narrates his horrific story with its multiple twists and turns, leading to a particularly dark ending. There is a crime at the center for the story, but it does not fit neatly into the category of crime novel. It's both psychological and ethical, exploring Toby's fragile self-understanding and constantly prodding the reader to assess Toby's moral character. This makes it more reminiscent of Ishiguro's The Remains of the Day than an Agatha Christie mystery. It's not easy to summarize the plot without giving away important spoilers, but the description from the publisher does that. The story starts out when Toby is in his late 20's, working publicity for a Dublin art gallery, when he falls into a deception and a cover up. He is good at making sure that he survives from the episode, He has a talent for manipulating people but he likes to think of himself as a basically good person, so he doesn't use his talent to blatantly exploit others. He likes having a good time with his friends and he doesn't want others to think badly of him. He is devoted to his girlfriend Melissa, and she loves him too. So his life could have been conventional and easy. Everything gets turned upside down one night when Toby is seriously beaten up by burglars. He nearly dies and he suffers injuries that affect him permanently, most significant being his memory loss. He eventually gets out of hospital and he and Melissa go to stay with his uncle Hugo, who lives in the family home where Toby spent a lot of time in his youth. Hugo himself is dying, so the two men are able to look after each other. The arrangement goes well until a skull is found in the garden and other remains are found in a large elm there. It turns out to be the remains of a friend of Toby from their school years, who had gone missing in the summer before everyone went off to university. The police become involved, questioning everyone and uncovering the past that Toby has great difficulty remembering. As details emerge, and it turns out that the young man had been murdered, Many people become suspects, and Toby starts to wonder whether he was the murderer. This causes plenty of tumult in his family and with Melissa, as he becomes increasingly extreme in his struggle to prove that someone else must have done it. A lot of the novel is composed of the characters sitting around talking, where they try to provoke each other. Toby has long sessions drinking with his friends, often driven by alcohol or other drugs. The most striking scenes are the many interviews of Toby by the police, who drop by in a casual way and engage him in conversation that seems aimed to catch him out. It's here that French really displays an ability to throw suspicion on almost every character in the book, and create a sense of paranoia. At other points the energy of the narrative does flag. But the excellent performance of the unabridged audiobook by Paul Nugent helps with this, bringing Toby's voice to life and giving it depth.